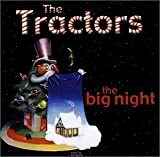 The Tractors are an American country rock band composed of a loosely associated group of musicians headed by guitarist Steve Ripley. 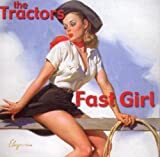 Under the band's original lineup, The Tractors was signed to Arista Records in 1994, releasing their self-titled debut album that year; the album only produced one Top 40 hit on the Billboard country charts. Since their foundation, most of the band's original members moved on to separate projects, although they often collaborate with frontman Ripley on The Tractors' more recent recordings. Ripley is the only official member of the group; he has stated that The Tractors is more of a "state of mind", and the band contains a largely undefined cast of unofficial contributors.